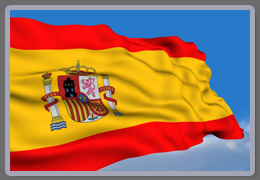 Spain is a member country of the European Union and is the second largest country in Western Europe, with an area of 504,030 square kilometers. The country is divided into 17 autonomous communities, each autonomous community is composed of provinces and then divided into municipalities. It's climate is as diverse as its regions. From the far north areas of Spain like Galicia with its oceanic climate of high rainfall and lower temperatures to regions that have a subtropical type climate that exist in coastal regions of Malaga. The people of Spain are a truly diverse lot — something that is reflected by the multitude of official languages spoken in (Spanish, Catalan, Galician, Basque and then lesser known Arenese. City folk are just that! Rushing here there and everywhere. 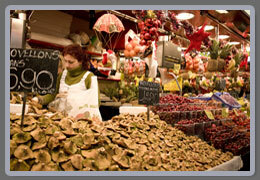 Hopping on the metros, shopping in the large department stores or trying one of the many cafes/ restaurants. While the pace in the country is somewhat slower and quieter, there is always a fiesta (party) just around the corner. The fiestas are usually held during the summer months, so no excuses for not partying until the sun comes up. Music, food, dancing and fair rides are what the people of Spain love. Summer is not only for fiestas, but for many city folk it's time for holidays on the coast to enjoy the sun, sea and beach bars (chiringuitos). In the winter months in Spain, it's time to visit one of the many ski resorts to enjoy the snow. The Sierra Nevada in the Granada province is one of most visited ski slopes in Spain. It might be winter, but in some regions of Spain you might think it is springtime. Costa Tropical and Costa de Almeria have many days in winter where you can be strolling along a boulevard on the beach front in a pair of shorts. The cultural heritage of Spain is wide ranging, from the Celts, Romans and Islamic influences. Spain has a large cultural diversity and is steeped in traditions that are practiced today such as the matanza (killing of the pig), which is a tradition thought to be of Celtic origins more than 2,500 years ago. From the many castles, Roman ruins and buildings such as the Alhambra de Granada built by the Moors to the incredibly strange but beautiful architecture of Gaudi in Barcelona, Spain has it all! There is another love the Spanish have other than for fiestas and football, and that's food. The culture of tapas is infectious. No matter where you are in Spain, you can always find the time to have a drink and tapas. If you like ham, you will certainly enjoy the taste of Spain's famous jamon. For many years now, because of the many other cultures coming to live in Spain, you can find Mexican, Japanese, Chinese, Italian, Argentinean, and Indian cuisine. 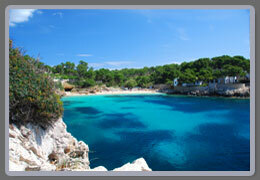 Almost every location in Spain is attractive and alluring. You will find a huge range of properties available. Whether your looking for a villa on the coast or an apartment in a large city or even that quiet country house, everything is available here in this remarkable country.